The benefits of grapeseed oil include it's high antioxidant properties that are healthy for your skin, hair and food preparation recipes. Grapeseed oil is one of the best massage oils as it can be used for most massage therapy techniques. Grapeseed oil antioxidants are called pro-cyanidolic oligomers (PCO’s). They are known for their ability to help increase intracellular vitamin C levels, decrease capillary breakdown, and bind collagen structures together to protect them from bacteria and disease. The seeds inside the grapes contain most of these antioxidant ingredients, many of which are also found in green tea, black tea, red wine and berries. Grape seed oil is processed by cold-pressing the grape seeds, after the grape itself has been used to make wine. It is often found in many facial/skincare care products and is known for its anti-aging benefits to the skin. Because it is so rich in vitamins, minerals and protein, it can be found in soaps, shampoos, conditioners, cosmetics, facial moisturizers, body lotions, and bath oils. Grapeseed oil also contains polyphenols, which are also antioxidants. Polyphenols have been proven to help slow the process of aging, and, because it is a natural anti-inflammatory, can help clear acne. Few massage oils actually help "prevent" clogged pores and skin break-outs, but grape seed oil contains a high amount of linoleic acid, an essential fatty acid, which is really good for oily skin. Grapeseed is one of the best massage oils because it has an exceptionally smooth glide and easy absorption into the client's skin, as well as being a great oil for hot stone massage, facial massage, and deep tissue with shaped stones. Read more about the benefits of using basalt stones in massage. Grapeseed actually has the ability to lock in moisture, which leaves your client's skin feeling very smooth, without the greasy feeling. Make sure you choose an organic, cold pressed 100% pure Grapeseed Oil for massage therapy and as a skin moisturizer. There are a number of different brands of grapeseed oils, however the more natural the oil, the more health benefits for you and your clients. Grape seed extract is also being taken by many people as a supplement, as it contains high amounts of Vitamin E and Vitamin C, which are often very needed by our bodies. Grapeseed Oil is now being used for cooking as it is cholesterol free, and can help lower bad cholesterol lipoproteins (LDL), and increase good cholesterol lipoproteins (HDL). This oil is often used as a carrier oil in massage oil recipe blends, with essential oils added to make customized blends according to the physical need of the person receiving massage. 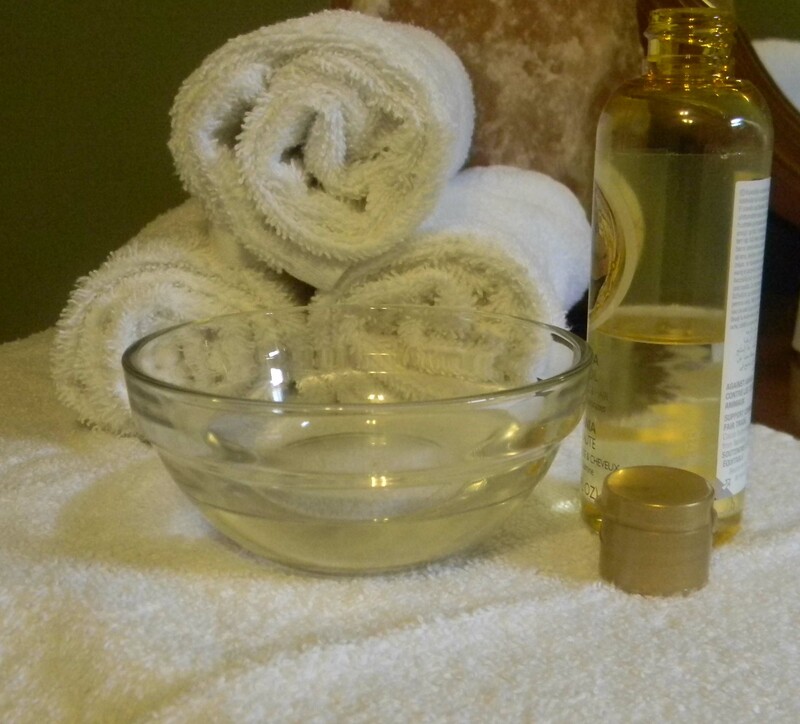 This is one of the massage video clips that demonstrates how grapeseed oil is often blended in a massage oil recipe. Although Grapeseed oil is still used mainly as a massage oil, the benefits of grapeseed oil are now being recognized for their wonderful anti-aging ingredients. Grapeseed Massage Oil is one of the best oils you can buy for bodywork therapies. It is a thin, yet, a very "easy-to-work-with" oil that penetrates deeply into the skin to offer long-lasting moisture. Popular in many European countries, this oil continues to grow in use around the world for it's luxurious feel in many massage techniques. It's creamy texture gives it a workable glide on the skin, but it is lighter than most other oils. Grapeseed is the perfect carrier oil for essential oils, and provides a safe, nut-free oil for your clients. Whether used for Pregnancy Massage, Swedish massage, or as a carrier oil, the benefits of grapeseed oil can be felt by everyone that you massage.